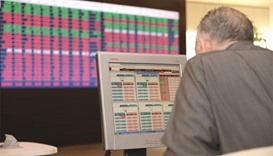 The Qatar Stock Exchange (QSE) on Tuesday settled marginally lower, mainly dragged by increased selling pressure from domestic funds. 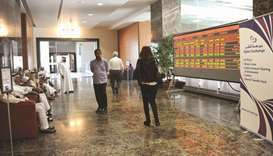 The Qatar Stock Exchange was on Monday swayed by selling pressure in six of the seven sectors but overall it settled marginally lower. 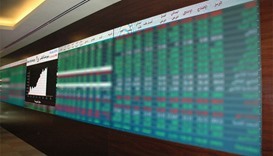 The Qatar Stock Exchange remained flat on Thursday despite selling pressure in five of the seven sectors. The Qatar Stock Exchange on Sunday opened the week with minor gains despite five of the seven sectors reeling under selling pressure. Strong buying – especially in transport and real estate – on Thursday helped Qatar Stock Exchange break the 10,000 resistance level. 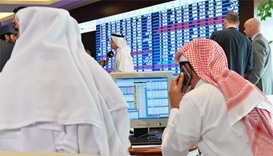 The Qatar Stock Exchange on Tuesday overcame selling pressure from local retail investors as it settled marginally higher amidst lower trade turnover. 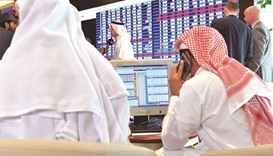 Strong buying interests of foreign institutions on Monday imparted sufficient thrust to the Qatar Stock Exchange, whose key sensitive index surpassed 9,400 levels.